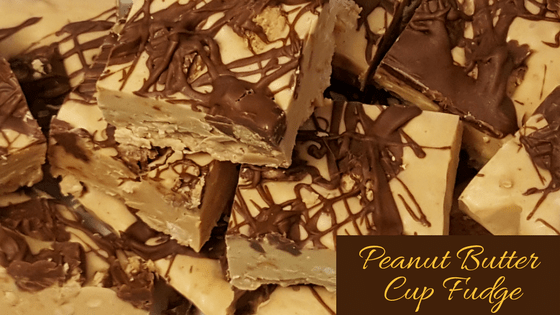 Not only is this peanut butter fudge easy to make, it is also absolutely delicious. It’s both creamy and crunchy at the same time. Perfect for gifts – this Peanut Butter Cup Fudge Recipe is sure to please! Using an 8x8 pan, line with aluminum foil and set aside. Melt Vanilla candy melts according to package, careful to not overcook. Add in the 16 ounces of extra crunchy peanut butter and mix until well blended. Give it gentle shake to disperse fudge mixture evenly. Sprinkle chopped peanut butter cups on fudge, gently pressing down. Melt 1/3 cup of milk chocolate chips and drizzle fudge. This looks AMAZING! Love all the pictures you took a long the way to show the process! Yum! Peanut butter and chocolate?? You have my attention! Oh my goodness these look absolutely divine! totally going to make these around the holidays! yum! I’ve always been a big fan of the chocolate + peanut butter combination, but now you’re adding vanilla in there too and my mind is blown! Looks amazing!